Unleash Your Inner Artist at Woolly! 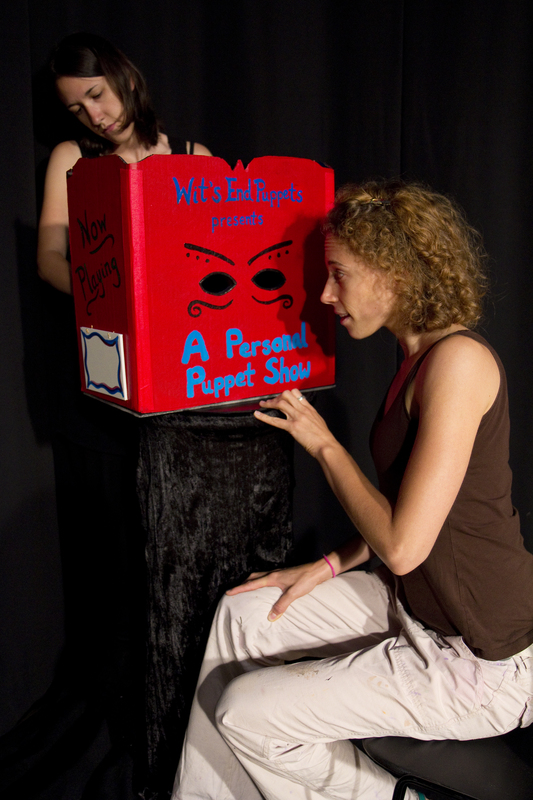 Genna and Cecilia demonstrate the Personal Puppet Show. For anyone in search of puppets this upcoming weekend, Saturday June 1 will be a busy day for us! From noon to 2pm we will be performing our Personal Puppet Show at Fenton Street Market in Silver Spring and then we will move to Woolly Mammoth Theatre in DC for their Unleash Your Inner Artist event from 3-6pm. If you’re in Silver Spring, stop by to see our latest 1-minute show ‘Jabberwocky’ while also finding some fantastic handmade items at the market! If you are hanging out downtown in the afternoon, get out of the heat and indulge your imagination with our show, the gigantic string instruments of Michael Verdon and the poignant love letters of the Love Collective. You need to reserve free tickets for the Woolly event, so please come out and support us, our fellow artists and our supporting organization, FIGMENT DC. We had an awesome time playing with our friends at FIGMENT last fall and we are looking forward to partnering with them more in the future! This entry was posted in Events, Performances and tagged audience participation, creativity, Fenton Street Market, imagination, Jabberwocky, one minute theater, outdoor theater, Personal Puppet Show, Saturday June 1 2013, Unleash your inner artist, Woolly Mammoth Theater by ccbooks. Bookmark the permalink.